Fitness enthusiasts in Daytona Beach have a lot to look forward to this December, as Gold’s Gym makes its way to the Shoppes at One Daytona. With an exciting rollout, a massive new store, and an innovative pre-sale event planned, Gold’s is set to make an explosive entrance into the world’s most famous beach. And it’s in good hands, too! Ormond Beach Gold’s Gym franchise owners, the Ward family, will be taking over the lease at the Daytona location. Co-owner, Tyler Ward, spoke about the family’s experience owning the store since 2001, what prompted the expansion, and his hopes for the future. The location in question clocks in at an impressive 29,300 sq ft, surpassing the available work area at the Ward family’s current location. It’s also the largest available space at the Shoppes at One Daytona. Management is predicting staff members at the new location will number around 50 workers, with a full complement of gym equipment. It’s a strong introduction into the community from one of the leading fitness brands in the country, and translates into increased job opportunities within the city itself. The gym will feature a team training center, as well as facilities for yoga, cycling, and exercise. Guests can also look forward to hydrotherapy massage facilities, and there’s even an onsite Kids Club for busy parents. The area will feature massive picture frames, showing off 3D renderings of each the gym area, long before it’s finished being built. Future guests can walk in, look around, and get an almost exact idea of what they will be experiencing when the gym has its grand opening, later this year. More small businesses than ever are implementing digital marketing tactics to effectively reach and attract their target consumers online. Spending on digital marketing from looks set increase to roughly 332 billion dollars by 2021. The takeaway? Digital marketing tactics continue to be the most profitable way to reach potential customers anywhere in the world. Join us today as we take a closer look at three of the biggest benefits to this service for your business. SEO is a powerful digital marketing tactic that offers a variety of benefits. By optimizing the content of your site for search engines, you can work to reach more online buyers than you every might, otherwise. 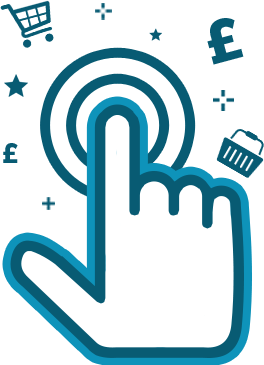 Using relevant keywords that help describe your product or service offer helps to attract more targeted traffic to your site, increasing your conversions over time. SEO is not only for big companies, either. 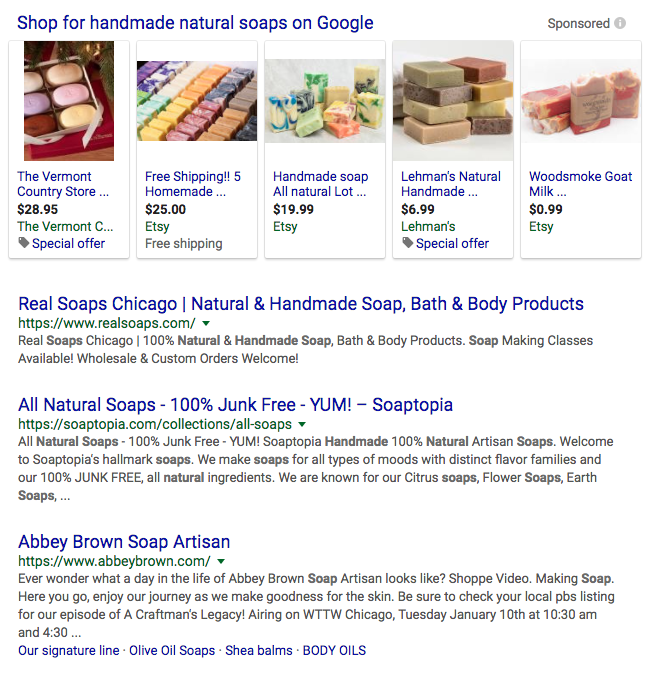 Many consumers are looking for local companies online, and these searches always eventually lead to a conversion. In fact, according to Google, 28% of searches for something nearby lead to a purchase. Local SEO, or optimizing your website for local search results, is an invaluable digital marketing tactic for companies operating in specific geographic locations. Another of the many benefits of digital marketing is that it allows you to connect with consumers who browse and consume content on their mobile devices. More than half of all online users access the web from a mobile device. Digital marketing can help you reach people on mobile devices, tablets and desktop computers. With traditional marketing tactics such as television or newspaper ads, you have to wait until the campaign is completed to see results. And, although you can use what you learn to adjust campaign tactics later on, there is not much you can do “on the spot” to adapt your strategies. Digital marketing allows you to see real-time results for your campaigns and adapt your tactics to improve results on-the-go. With a careful analysis of websites, you can see the number of visitors to your site, which pages they visit, and how much time they spend on each page. You can also see the days and hours of peak traffic on the site, as well as track conversion rates across your site. Say you’ve written a series of blog posts as part of an content marketing strategy. You want to figure out if you should continue writing blogs in this series or focus on other topics. You can quickly and easily check your blog’s analytics to see how many people are reading your blog or how many are converting. Tracking success in this real-time content marketing campaign allows you to determine the best use of your resources and make the most of your campaign tactics. Want to learn more about the benefits of digital marketing for your business? Visit Web Daytona, Florida’s foremost online marketing agency, today! Digital Marketing is the cornerstone of businesses everywhere. As marketing is US alone spends more annually on marketing a year then every other country, the industry is ever-growing, and the promise that follows is something for businesses everywhere to look forward to. If your business is in the aid of a digital marketing company, here is how to know you chose the Right One. The best Digital marketing company uses its team’s strengths to the fullest. As there are different departments in the company, there are many moving parts. With a skilled company, these parts will work together like clock work. They will understand that their work is special, but is also crucial to be the stepping stones of your business. Iron sharpens iron in the best digital marketing company. Digital Marketing Companies are B2B. However, many of them are not in communication with their clients as they should be. If this is you, then it is time to take charge. However, the best company will engage with your business, looking for information to come up with new ideas on how to grow your business. That is the main goal of a marketing company after all. When looking for the best digital marketing company, look for a well organized team that streamlines its work using the best CRMs. And make sure that communication with you and your business is consistent and transparent. Also check out this awesome article on why a digital marketing company is great for your business! WHY YOU SHOULD HIRE GHOSTWRITING SERVICES? Ghostwriting services are those services in which you hire someone else to write articles, blogs, contents, reports, journals, and much more. In these types of services, the client does the talking and the ghostwriter does the writing. The job is done by these ghostwriters but the main credit always goes to that person who hired the ghostwriter. Moreover, the designs and notions are primarily given by that person who hired a particular ghostwriter which are given the shape of the words by the ghostwriter. You don’t have to wander all over the internet to search for the best-ghostwriting services as they are piled up in our ghostwriters. Well, it is certainly appealing to have your documents written from another person but still, all the credit goes to you, right? There are certain reasons as to why you should hire our ghostwriting service. DreamStarters Publishing has the most experienced ghostwriters. The credibility and professionalism that reside in our ghostwriters are certainly unparalleled. Our ghostwriters will collect all the necessary information from you that is needed to make a high-quality book. We not only create your book in 30 days but we also design a high-quality cover for your book. Moreover, we keep you well informed about your document. Today’s world is all about keeping up the pace. If you don’t run fast enough, someone else will beat you to the finish line. Therefore, DreamStarters Publishing has been renowned for its fast-delivering facilities. We cover a book in no time and publish it on Amazon in 30 days. Therefore, you can always rely upon our ghostwriting services for fast delivery. We are ready to help you at every cost even when you haven’t even started yet. Our Ghostwrites provide a streamlined framework of a book which requires professional and qualified skills. Our ghostwriters are smart, patient, attentive, creative, and poised. You will get a book which is filled with thoughts, wonders, and stories, and this will certainly serve many generations to come. Our ghostwriting services are certainly mind-blowing and you will never be sorry after contacting us. DreamStarters Publishing has certainly the number one ghostwriting services for entrepreneurs. Thus, if you are looking for efficient and effective ghostwriting services, contact us right now and get yourself the best of ghostwriters available in town. If you have any more questions are queries you can contact our staff online. Our website is http://www.dreamstarterspublishing.com. Therefore, you must not waste any more time and get a quote right away. Not every entrepreneur can get a time out of their busy routine and schedule. Therefore, if you have any pending story which needs to be transformed into words, our professional writers are ready to provide you with our ghostwriting services. You will certainly not regret it. We help all the magnates to attain more credibility. Contact us and see the magic happen in 30 days. The world is becoming more and more advanced everyday. Artificial Intelligence used to be a thing of the future, but in a world where the future is today, here is how AI will revolutionize the digital marketing industry. AI and machine learning has been a part of our lives for a while now. It has made its appearance in customers service chat boxes, music apps that find music specific consumers might be interested in, and by optimizing searches based on algorithms that determine behavior. AI is an infant today though, being used quite minimally in the digital marketing industry, but in the coming years it will grow to be one of the most integral parts of marketing optimization. Content creation is one way companies can keep consumers engaged. Spicing it up with AI will create content more efficiently, as it will be designed to look like it was written by a human. AI has already seen its light in certain forms of content creation like real time stock readings business reports, but in the future the potential for AI to do so much more is so much greater. Already AI has been implemented into certain websites, most notably google, in order to optimize consumer experience and essentially keep consumers coming back for more. Consumers appreciate when their experiences on certain websites are more personalized. As AI will continue to get smarter we can expect a giant leap in what it means for the personal consumer experience through AI. AI will be able to help companies review consumer behavioral patterns in order to come up with the best marketing schemes to their tailored audience. 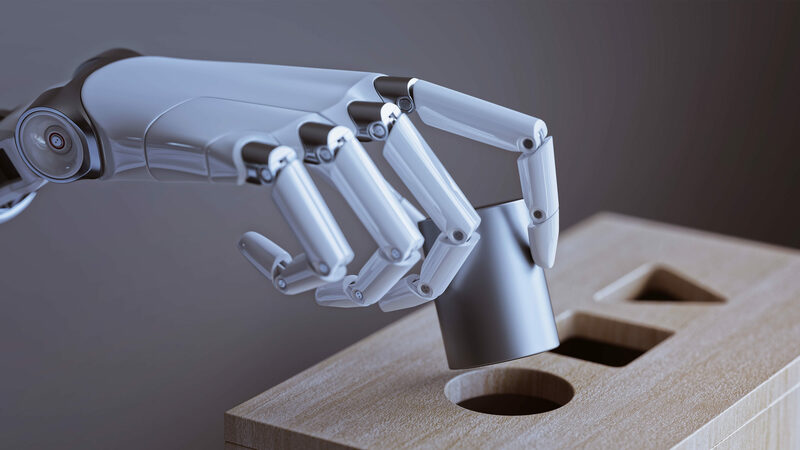 In doing this, Companies will be able to use AI to experiment with different schemes not only snag new customers, but also to keep the veteran customers engaged. Most of the digital ad market today is currently run by Google. PPC campaigns are usually handled by agencies or other individuals with the know how, but introducing AI will not only make PPC campaign creation more efficient but will help look for new ways to optimize PPC ad campaigns. algorithms in the AI will be able to learn what works and what doesn’t in a much shorter amount of time. AI will be the new best way to optimize PPC ad campaigns and will help smaller companies if they implement it now. The connection between consumer and marketer is very important. AI will be able to assist in creating a stronger Consumer/Marketer connection by helping the marketer to create a more personal experience for the consumer with machine learning and behavioral-researching AI. That is only the beginning though. the future optimization of the digital marketing industry will rely heavily on AI. However, a healthy balance of the artificial and the organic will be necessary to create a truly meaningful Consumer experience. The most personal consumer experience is one that feels natural. Well it’s 2018 and not much of the same logic applies today. With 30% of millennials saying they engage with a brand on social at least once a month, your strategy can’t be only about existence. Brands must be fully invested in their social media marketing strategies and focus on engagement. Otherwise, you’ll lose out on real customers, which means serious effects on your bottom line. We’re not here to scare your brand into the world of social media. Instead, we want to provide your marketing team with the right steps to take toward a successful social strategy so your brand isn’t left in the dust. The first step to any strategy is to understand what you want out of your efforts. Social media marketing isn’t about flipping a switch and calling it a day. Instead, social media planning should be looked at like cooking your favorite dish. Once you have your ingredients, you follow a recipe and presto! But that’s not always the case. What if you have guests and need to feed more people? What if someone is allergic to one of the ingredients? Suddenly, your goal goes from making a meal to ensuring it will feed enough people and be edible by all. That’s why creating goals is so critical to the first part of your social media strategy. At the same time, it’s best to set goals that you know are attainable. Asking for 1 million new Instagram followers in 2018 is unrealistic. With achievable goals, you’re more likely to stick to the original plan and continue to take on new hurdles as you complete old ones. This is the same reason why brands should never take on every social media channel possible in their current marketing strategy. Try to choose the channels that have the most importance based on your brand’s goals. Avoid over complicating a strategy with too many targets and objectives. Simplicity can take you a long way. Increase brand awareness: To create authentic and lasting brand awareness, avoid a slew of promotional messages. Instead, focus on meaningful content and a strong brand personality through your social channels. Higher quality of sales: Digging through your social channels is nearly impossible without monitoring or listening to specific keywords, phrases or hashtags. Through more efficient social media targeting, you reach your core audience much faster. Drive in-person sales: Some retailers rely on social media marketing efforts to drive in-store sales. Is your brand promoting enough on social to reward those who come to you? What about alerting customers to what’s going on in your stores? Improve ROI: There’s not a brand on social media that doesn’t want to increase its return on investment. But on social, this goal is specific to performing a thorough audit of your channels and ensuring cost of labor, advertisements and design stay on track. Create a loyal fanbase: Does your brand promote user-generated content? Do your followers react positively without any initiation? Getting to this point takes time and effort with creating a positive brand persona on social. Better pulse on the industry: What are your competitors doing that seems to be working? What strategies are they using to drive engagement or sales? Having a pulse on the industry could simply help you improve your efforts and take some tips from those doing well. Approximately 79% of adults use Facebook–but are your customers actively engaging with your brand there? Understanding your audience is necessary to learn things like who buys your products, what age group is the toughest to sell and what income level makes up the most of your returning customers? As for social media, it’s just as critical to know your audience. First, your brand should look into the demographics of your most valuable social channels. 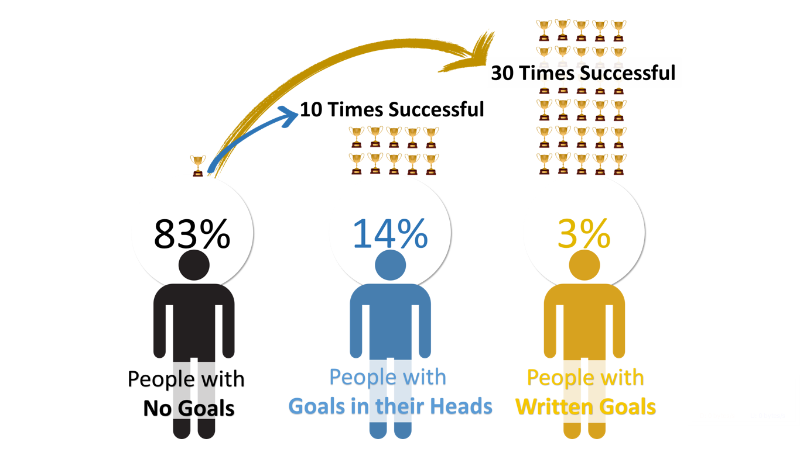 Like we mentioned before, you should have a goal in mind for your social media marketing strategy. This is why you need to research the channels that correlate the most with your goals. See even more demographics data on our in-depth guide! While the demographics data above gives you insight into each channel, what about your own customers? Further analysis has to be completed before you can truly know your customer demographics on social media. 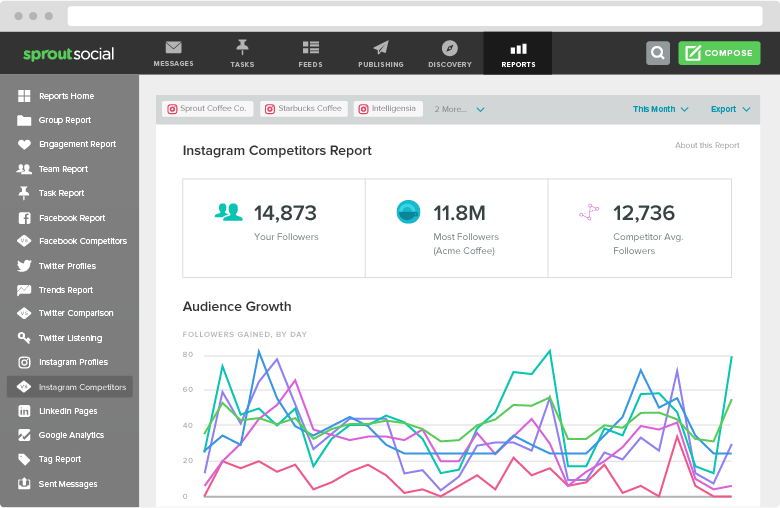 That’s why many brands use a social media dashboard that can provide an overview of who’s following you and how they interact with you on each channel. 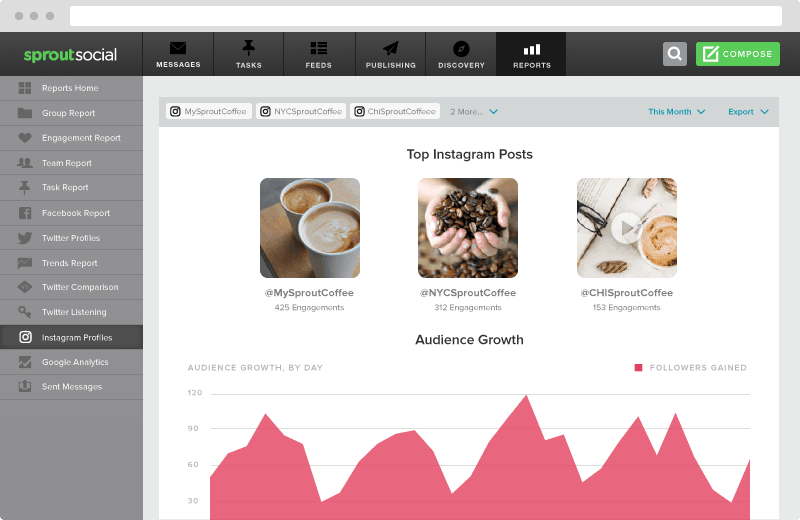 Most brands today are using at least some sort of dashboard. However, does your dashboard address your specific goals? Also Read: Are PBN’s Still Good For SEO in 2018? Before you start creating content (we promise we’re almost there! ), it’s really smart to investigate your competitors. We put this before the content creation process because you often find new ways to look at content by analyzing what’s making your competitors successful. Again, we’ll always believe you shouldn’t steal your competitors ideas, but instead learn and grow from their success and failures. So how do you find that information? The first step is to find out who’s your competition in the first place. You can exclude the major retailers like Amazon and Bath & Body Works. Search for those who show up who are in your specific industry. Next you want to see who is active on social. Here you can see post break downs of text, images and video to see what your competitors are doing to drive the most engagement. Once you dig through the competitive analysis, you’ll have a better idea of what your potential customers want. Did someone say content? It’s no lie–social media content is extremely important to your marketing strategy. However, it’s best to follow the previous steps before planning out content (we caught you, blog skippers!) so you can start building more effective themes. For starters, we recommend creating content that fits to your brand’s identity. This means you should avoid things like reaching out to your unpopular demographics without a complete strategy in place. It’s necessary to find the perfect balance between target content and being overly promotional as well. In fact, 46% of users say they’ll unfollow a brand if there’s too many promotional messages. Additionally, 41% of users say they’d unfollow a brand that shared too much irrelevant content. How important is video to your SOCIAL MEDOA MARKETING strategy? Extremely–approximately 90% of online shoppers believe product videos help them make a purchasing decision. Additionally, the average online video is completely watched end to end by 37% of viewers. These type of stats should only enforce your reasoning to invest in social media video content. 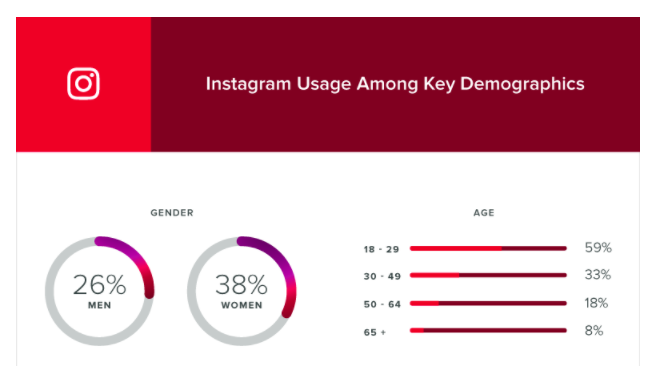 Brands can reach users through Instagram Stories, Facebook Live and other in-the-moment media. One of the toughest challenges to visual content is creating it on a day-to-day basis. A Venngage infographic showed 36.7% of marketers said their No.1 struggle with creating visual content was doing so consistently. This truly shows how important highly-visual content is to marketers and the people they want to reach. That’s why building content themes is a great approach to sectioning out your content. Instagram is one your premier channels to work off visual themes. 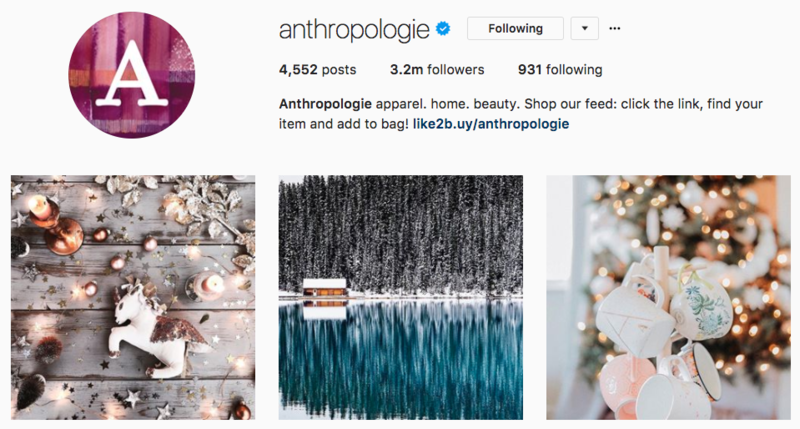 Anthropologie does an amazing job at keeping their Instagram feed consistent, colorful and eye-popping. Work in content themes to ensure you have a consistent schedule of excellent content to publish. 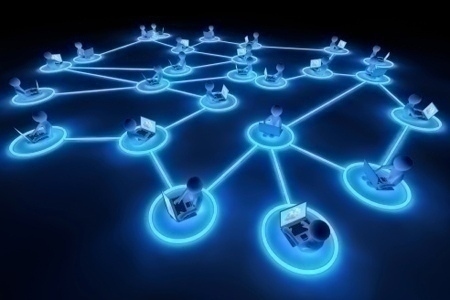 Social media channels are built as networks. This means their main purpose is to be a space to converse, discuss topics and share content. Your brand can’t forget these core elements of “networking” and it takes effort to ensure conversations or engagement opportunities aren’t left unattended. For example, Seamless does a wonderful job of not only responding, but showing customer care is priority. Through the right social media monitoring tools, you can find instances across all your channels to interact, respond and gauge customer service inquiries. When is your brand available to engage and interact with customers? You might see some recommending times to post late in the evening. 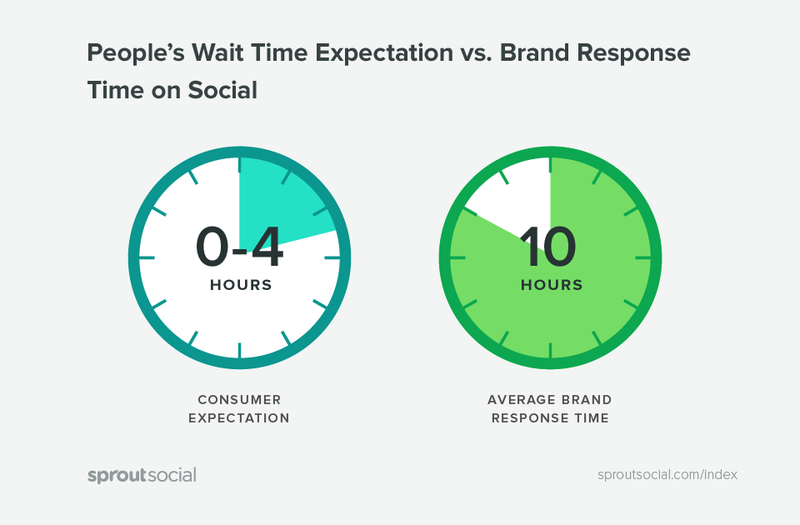 But if your brand isn’t there to communicate, what’s the point of posting at the preferred time? So, how well did you do on your social media marketing strategy? Without continuously analyzing your efforts, you’ll never know how one campaign did over another. Having a bird’s-eye-view of your social media activity helps put things into perspective. You’ve got down your most important goals, network preferences and metrics–now it’s time to make sure you made the right decisions. Knowing you’ve made the right choices is still a difficult task in social media. In fact, 46% of B2B marketers are unsure if their social strategy actually created revenue for their brand. But marketers are always trying and looking for the perfect connection. That’s why the most commonly used metric (80%) for marketers is engagement. If you work at building lasting relationships, there’s a lot less room for failure with your social media marketing strategy. 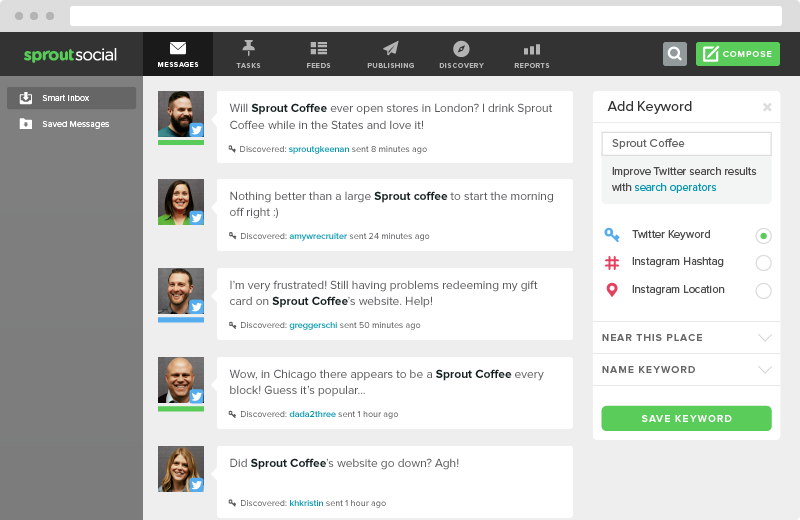 Sprout Social was created with social media marketing in mind. 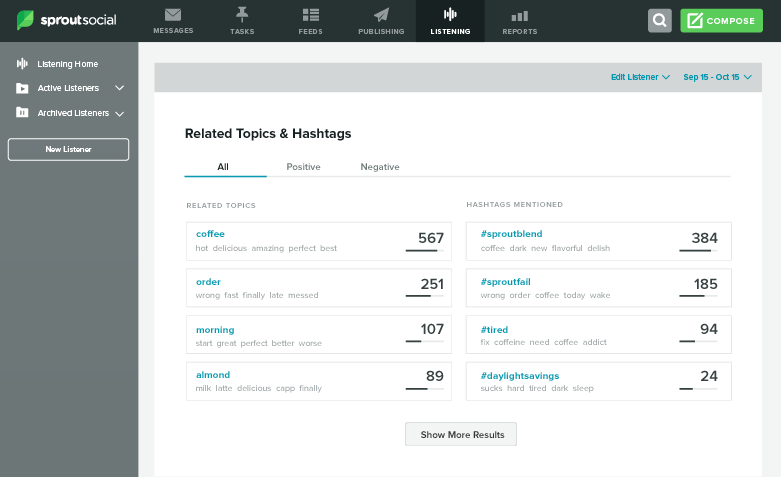 Our social media tools offer a full suite of analytics and reporting features to help you pinpoint exactly which posts, messages and hashtags perform the best. It’s easy to connect other critical tools to our dashboard like Google Analytics, which helps you see which posts drove the most traffic, conversions and overall revenue. We wanted to give our readers a few resources to use moving forward. That’s why we put together this 7-step social media marketing strategy checklist to help all of our readers creating and auditing their own strategies. You know how difficult it can be to give love and positive attention to negative people. Unfortunately, that is often exactly what they need. Deep inside that mean and critical person is a person that is usually afraid he or she is unlovable. It is our challenge to rise above the negative attitude and love the injured person inside. How do you show love when someone is negative? You must listen to what she is trying to tell you. Acknowledge the feelings she has by saying something like, “You sound very angry right now”. Even if you don’t quite understand the person’s feelings, know that your reality is different than someone else’s. Ask how you might help the negative person. This shows legitimate interest in her happiness. Offer a hug even if you get rejected. Remember not to take a rejection of your love personally. A negative person often has difficulty receiving love from others. If you do nothing else but focus on managing your own negative thoughts and behavior, you will come a long way towards remaining positive. A negative attitude is contagious, but a positive attitude is infectious as well. Hang out with positive people that encourage you to be your best self. Use positive affirmations to overcome negative self-talk. Express your gratitude for all the positive things in your life. Take the time everyday to watch all the beautiful things going on around you. Read inspirational material and listen to joyful music. Take care of yourself spiritually. Do whatever you have to do to remain positive and happy despite the negativity you face. The world will be a better place because of you and your attitude. And you never know, you just might help a negative person make a change to a better way of living. Marketing is a delicate process. There are a lot of moving parts to the machine, and if you’re not from the industry, it can all seem a little intimidating. Luckily, there’s always professional help. If you need marketing services in Orlando, you can always Google “marketing company Orlando” and find someone with the skills, experience, and resources to do a great job. And they’ll do it, on your behalf. But what if you choose the wrong team? Or you’re not clear enough with your goals? What if the whole thing goes off the rails and you don’t get what you wanted out of it? Today, we’re going to run through three things you need to know before choosing a marketing team for your business. Hopefully, this will take you from wary and trepidatious to ready to market your socks right off. Ready to get your name out there? Not so fast – let’s look at what you’ll need to know ahead of time. As with any big-budget investment, you have to go into digital marketing with a clear idea of, well, what it is you actually want from your marketing. Not only is this important to saving you time and getting the results you want, but it also helps to keep the agency honest. It makes sense. If you bought a car with only a budget and no idea of what car you actually wanted, the first thing someone would do would be to sell you the most expensive car out there. Similarly, while we would love every agency to be completely transparent, the quickest way to waste money is to come in with only a vague idea in mind. And while you’re at it, take some time to learn about their services. Are they a one-stop outlet for digital marketing services, or are their services specialized? Do you want dedicated service from them, or could you use a splash of their SEO added to your existing marketing base? And, if they don’t provide the service you need, do they use trusted partners to create that service? And are you okay with that? Ultimately, it comes down to doing your homework and understanding what you want to get out of it before you get started. Any time you hire an outside agency to represent your business in any way, you need to take a look at their previous clients. Ask to speak with their references, especially when those clients are from your industry or industries like yours. Ask to see reviews, whether new or old, and ask to see them where they are online. If you search for “marketing company Orlando” and there are Google reviews, you’re on the right track. You’ll know that someone went out of their way, logged in, opened up a text window, and wrote out their feelings. And nobody does that unless they are either very impressed or extremely upset. Either way, you’ll get the answer you’re looking for. A marketing agency Orlando, no matter how they do business, boils down to a team of people, with a set of skills, who will apply those skills to your unique work. And when you bring together any group of people to do things on your behalf, you’ve got to know who they are. What kinds of personalities have you got doing your work for you? What kind of approach do they take to an average workday? And do you like them? Because, if you don’t connect with the people doing your marketing, that’s a taxing weekly meeting, and more chance of conflict when things go wrong. You have to make sure you make a connection with the people doing your work. Even if you don’t spend brunches with them or see them over the holidays, you need to make sure you are working with a team you like enough to work consistently with them. Working with a marketing company Orlando is a lucrative venture that can change the way your business connects with potential clients. But, like any venture worth the effort, it’s something you have to spend time researching and getting right before you go with it. With the three points above, you’ll be on the path to finding the agency for you. Are you looking for high-end digital marketing services in the Orlando area? Get in touch with Web Daytona today, and discover premium online services to take your marketing to the next level. The Stonewood Grill & Tavern, a staple in the Port Orange restaurant scene, is closing its doors after fifteen years in the business. The move is a shakeup for such a well-known location. Management assures its fans, however, that they’re pursuing something new and “outside the box”. Namely, a new venture: The Coastal Grill Raw Bar. In the month of August, Ormond’s well-known Dunlawton Avenue restaurant will close for business. Then, in October, it will be reopening as a brand new eatery called Coastal Grill & Raw Bar. But, before you run off swearing your loyalties to a new Port Orange eatery, we should make one thing clear. This is a new restaurant with the same team you know and love behind it. The changeover is the result of Stonewood Holdings retargeting the local market and trying to do something new. It’s a reopening with a fresh image and a different focus while maintaining the good faith the Stonewood Grill & Tavern has established over the last fifteen years. And just because they’re revamping the menu doesn’t mean they’re dropping your favorite foods. The new restaurant will focus more on fresh seafood than the grilled fare of years before, but with signature dishes actually remaining on the menu. The steaks you love aren’t going anywhere – they’re just sharing a menu with some exceptional seasonal chowders, po’ boys, and shrimp cocktails. The new restaurant will also feature a raw bar. What so often happens when restaurants reopen after a refocusing like this is that they very quickly drop all of their old staff members during the reshuffle. It’s a sad part of the industry and one that spoils reopenings like this for local community members and visitors from out of town who visit with certain expectations. In another stroke of good news, Steve Papero, Stonewood Holdings president, and CEO confirmed Coastal Grill & Raw Bar will retain the management and most of the Port Orange Stonewood’s more-than 60 employees while the eatery is closed for construction. These staffers will be given temporary assignments at other nearby Stonewood Grills, Peach Valley Cafes, and Houligan’s Spirited Sports Grille. Open reopening, the Coastal Grill & Raw Bar is likely to bring on 40 full- and part-time employees to meet its new hours of operation. Local residents and visitors from out of state won’t have to wait long before to experience this incredible new seafood location. Dunlawton Avenue’s Stonewood Grill & Tavern will close later this month before commencing renovations. The target opening date for the new Coastal Grill is in late October. And looking ahead to the future? Papero is on record as saying he feels Coastal Grill could become a new chain entirely on its own. One of the popular remedy used for common ailment is the cannabidiol oil commonly referred to as CBD which is one of the 104 chemicals found in the cannabis and marijuana plant. Unlike THC (Tetrabydrocannabinol) that makes people get high, cannabidiol is not psychoactive. Its quality is what makes it appealing to relief pain, suppress and cure other symptoms. To make CBD oil, CBD is extracted from cannabis plant and is diluted with any carrier oil like hemp seed oil or coconut oil. Since research and studies have shown that it has various health benefits and plays a vital role in treating variety of ailment, the unique oil has gained momentum. Cannabinoids are known to always produce effects in the body by attaching to certain receptors because the human body is known to produce certain receptors called CB1 and CB2. CB1 deals with pain, appetite, mood, memories and coordination, they are found in the body but higher concentrations are found in the brain while the CB2 receptors deal with inflammation and pain and they are found in the immune system. Initially, researchers believed that the CB2 receptors are what CBD attaches to but it doesn’t work that way. CBD directs the body to make use of more of its own cannabinoids. The anti-inflammatory and natural pain relief properties made CBD oil useful in relieving pains and stiffness. It can also be used for the treatment of chronic pain. THC have been known to amplify the feeling of anxiousness but research on Neurotherapeutics showed that CBD is beneficial in reducing anxiety in people with certain disorders like general anxiety disorder, social anxiety disorder, panic disorder, post-traumatic stress disorder and obsessive-compulsive disorder. This is one of the promising uses of CBD oil, because of its anti-inflammatory effect it helps in lowers the production of sebum. Sebum is the oily substance produced by the body and when it is over produced, it causes acne. Type 1 diabetes is a result of inflammation that occurs when the cells in the pancreas are attacked by the immune system. The anti-inflammatory effect of the chemical makes it useful in the treatment of the disease. Researchers have made it known that using CBD oil will help reduce and combat cancer by suppressing the growth and promoting the destruction of cancer cells. Another benefit this great product provides is that it lowers high blood pressure which is linked to numerous health conditions like metabolic syndrome, stroke and heart attack. In a recent study, CBD oil was used in treating ten men with high blood pressure. The result of the treatment showed that their blood pressure was lowered after they took 600mg of CBD oil. Holistically, the benefits of CBD cannot be overemphasized. Also Read: CBD FOR SALE | PRODUCTS FOR TREATMENT! You’ve started your own business and added the general means of payment, like credit card and PayPal. However, you’ve been considering adding Bitcoin – or any other cryptocurrency – as well, either to boost your popularity or to bolster crypto adoption rates through trading. Still, this can be a challenge to get into due to price volatility. In spite of that, we bring you 10 reasons why your business should accept Bitcoins. However, have in mind that these reasons may not work for everyone as there are certain risks associated use of Bitcoin, too. Credit card fees usually run around 2-3%. Bitcoin fees do not depend on a transaction size. At time of writing, the median transaction fee was much less than 1 USD. Therefore, the larger the transaction is, the cheaper it becomes. However, fees fluctuate – in the end of 2017 the median transaction fee surpassed 30 USD. However, Bitcoin is certainly volatile. But most merchants who currently accept it set prices in their local currency and get paid in their local currency, and Bitcoin itself acts only as the medium through which the transaction takes place. Also, a Bitcoin payment processor service with existing point-of-sale integration might help. As such companies can even deposit the money in your bank account in your preferred currency once a payment has been made. That would help reduce risks related to the Bitcoin exchange rate. But all those services come with a fee. Bitcoin transactions allow you to expand your markets to basically anywhere. The only restriction is if you’re selling a physical product – where you’d be willing to ship. Since you skip banks altogether, you don’t have to deal with waiting for ~3 days for the transaction to complete. Transfer limits and outrageous fees also become a thing of the past. Chargebacks are quite a headache, and dealing with them can sap a considerable amount of time and energy that could be better spent growing your business. Bitcoin transactions are completely irreversible, so you skip this problem completely. When you start, Bitcoin is easy to use, and only getting easier with time. There is absolutely no need to completely understand the technology behind it to be able to accept the coins – nobody asks you to understand how backing (or lack thereof) works for fiat currencies either. You do need some basic knowledge, but that’s easy to come by these days. Bitcoin adoption is still in its early days. Being the first business in a certain niche to accept Bitcoin can earn you headlines in cryptocurrency news portals, you can submit your website to communities like spendbitcoins.com, coinmap.org, and weusecoins.com and perhaps gain more customers this way. Continuing the “publicity” topic, especially if you’re a “cutting-edge” brand or have established yourself as a “thought leader” and “early adopter,” then adopting Bitcoin as a payment method sends a clear statement to your audience. Even if it’s still another buzzword to add to your portfolio, it can hardly hurt. Traditional transactions may take a very long time, especially when making international bank transfers. You might have to wait for up to one week before funds can be successfully transferred from one country to the other. It is even worse when you want to transact during weekends or holidays. The delays can be frustrating. Although you may hear that Bitcoin has slow transaction times, this is just relative to the crypto industry in general. Compared to banks, Bitcoin is incredibly fast and your cross-border transaction can be done in just a few minutes. Most payment options often involve a third party. When you have money in your bank account, it is the bank that has the ultimate say, despite the money being yours. If they deem it necessary, they can freeze your accounts and render you moneyless. As a business, this can result in a lot of losses. Bitcoin is decentralized, and this means only the buyer and seller are involved. The use of digital currencies has enabled businesses to access new niche markets that might not have been accessible before. For instance, in some parts of Africa and Asia, very few people have access to good banking services. This often locks them out as they cannot transact with people in other geographical areas. As we mentioned previously, the only obstacle is whether you’re willing to ship (in case you sell a physical product) to a certain geographical area. If you are interested in Bitcoin and would like to learn more in-dept visit best bitcoin forum for free guides, tutorials and many different community experts who will answer your questions!